Great place. Friendly environment. transaction was seamless, organized, with friendly and knowledgeable staffs. 5 star dealership!!!!! Very low pressure sales. Very honest and easy to work with. We got an awesome Cadillac at a very reasonable price. I will recommend these guys to anyone looking for a nice quality used car. Excellent no haggle car buying experience. I loved NOT having a creepy salesperson down our throats. We were able to browse the lot and test drive at our own pace without pressure. Thang helped us when we had questions and he was awesome! This guys are INCREDIBLE!!!! We drove up there to look at a Honda for our daughter. We bought because of the 3 day by back and it would allow us to have our mechanic look at it. Now, I expect to find some things wrong when we buy a used car.....ITS A USED CAR! We live in Lincoln and we took it to our mechanic. They found a few things wrong with the car. Terra Mota offered to COME DOWN an PICK UP THE CAR. They fixed a couple of the items AND BROUGHT IT BACK TO US! Truly an incredible experience. Thank you so much! We have purchased 2 vehicles from TerraMota! Tyler is an exceptional sales associate and the primary reason for returning. The dealership has a very nice selection of quality vehicles and priced right. Best car buying experience hands down. No pushy salesmen trying to meet their quota forcing cars on you that you aren't interested in. The process was super easy and quick and the people there had excellent customer service and made you feel comfortable and at peace during a stressful time. The cars are in excellent condition and are definitely worth the price. They make sure to keep them that way by doing inspections every 2 days. When you buy a car they also have the option of delivering the car to you if you drove yourself or sending an Uber to pick you up so you won't have to call someone to drive you out. I would absolutely recommend this place to anyone looking for a car. I am a very satisfied customer and will certainly recommend TerraMota to all my friends and family. The dealership is very warm and welcoming and the staff are great. I am very appreciative of the service staff and their willingness to fix a problem that I had with my car. My interactions with the sale representative, Luke, was memorable. Luke is compassion towards his clients and ensured that he met his clients objectives/specifications regarding auto requirements. Initially, I wasn’t going into TerraMota to purchase a different vehicle, rather than just looking at different options. Luke was able to help me with all my questions regarding different types and models of each vehicles. After test driving a few different vehicles, Luke asked me if I was interested in any of the options. I would rate TerraMota a 5 for the friendly, knowledgeable, and compassionate with customers. I would definitely come back! I surprised my 16 year old daughter with her first car from here. Luke was extremely knowledgeable and provided me with all the necessary information including the vehicle specifications, history and maintenance reports. This dealership is an upcoming startup and their concept on car buying is not only honest but friendly. I highly recommend giving them a shot. The quickest car buying process I've ever experienced. Completely stress free and nice cars! Terramota has helped me and my family with great cars! I trust them over any other dealership! Thanks for all the help! Stopped by to test drive a Nissan Altima couple. Nice little car! Just wasn't quite what I was looking for. But I called ahead to confirm it's availability and the car was ready to go for me when I arrived. Plus the salesman, Tyler, was very cool and made me feel welcome. Will definitely consider in the future! Would recommend this to everyone. Great service!!! Nice vehicles!! Definitely 5/5 stars!!! I haven't found a place more safe to buy a use car under 5k. Great service and support. Fair price in cars ,salesman did came out ,i have to go in and ask,but there nice 25minutes give me to try van. My wife and I worked with Thang while trying to buy our oldest daughter her first car. The car we got was perfect for our daughter. The whole car buying experience was a real pleasure. The price of the car was very reasonable and it was nice not to have to haggle on pricing. We will be buying another car thru TerraMota at some point. Thanks Thang! I would definitely recommend anyone looking for a quality used vehicle to TerraMota. I recently bought my 16 year old daughter a vehicle there. As with some used vehicles, there was a minor issue found after I took possession. Thang and Luke went above and beyond to resolve the issue, and kept me informed thought out the entire process. They also both called me after to make sure everything was taken care of and I that was happy. I can guarantee that you will not find better customer service, nor honest and caring employee's anywhere in the Omaha area! I would like to thank both of these gentlemen and I will for sure be doing business with them again in the future!! Kept in constant contact. Ended up buying the car. Amazing service! A lot of great cars for the price range I’m in. Peace of mind when buying from these guys. No one else in the NE or IA can beat their deals. I bought a car from TerraMota in May. The car is great! Thang was very helpful, and overall I had a great time buying my first car. Thanks guys! Great service. I'm really enjoying my car. I bought a 2003 Suburban in near excellent condition about 4 months ago. This place is definitely where to buy if looking for honest people that value their customers and want you to be satisfied with your purchase. I don't rate businesses too often, but they are definitely 5 star! If you are looking to buy, check them out. Small business, but treats customers above and beyond most used car dealers. Amazing customer service and outstanding understanding of their customers! Very laid back experience with zero hassle with my new vehicle. Thank You to Luke and his incredible Team at TerraMotor Auto Group! Awesome group of people. Good reliable cars. Great customer service. I believe there is a 3-day return policy with no questions ask which is awesome for anyone who wants to own a car knowing that they’ll buy with confident. Bought a Nissan Juke yesterday drove 70 mile to see a car from another dealership and it wasnt what it looked like online. So my husband found terramota and I so glad he did. You walk it and it clean inviting the sale guy was nice had a smile on his face. He let us test drive all the cars we wanted and answered all our questions. I'm happy we found this dealer. The whole team at TerraMota was friendly and professional! Their attention to detail and their honest approach helped us feel comfortable and confident in exactly what to expect from our purchase. For anyone in the market for a used car of great quality I can’t recommend TerraMota enough! I purchased a Volvo station wagon for my wife from TerraMota in June 2018 and I could not be more satisfied with the experience. Both Tyler and Luke were low pressure but helpful and accommodating to my questions and concerns. On the way home, the car developed a suspension noise - Luke responded to my texts immediately and ultimately he provided a solution at no additional cost to me. If you are looking for truly honest people in the uncertain world of used cars, these are the guys. 5 stars! Thank you for your review Hannah, it is our pleasure to be of service. Every person I have interacted with along the way of getting my vehicle at TerraMota has been extremely helpful. They have amazing customer service and if you have a question or issue with anything they are super quick to respond. Incredible place!! I would recommend. It was an amazing, and calming car buying experience, unlike any other I've experienced. No headaches at all. These guys work hard getting you a good deal. Was our car perfect? No, but it was in fair shape for the price we paid. They were up front and appeared to have their act together. Good job. Found this Dealership on Cargurus. Tyler Tran & the whole Company were so helpful in getting a car financed for my daughter. They have great vehicles for good prices. This Company is truly honest and work very hard to accommodate you with quality cars. I would definitely recommend them to anyone. Thank you TerraMota for taking care of my family. Best experience I've had at an auto dealer. Relaxed yet professional with no pressure. Service after the sale was fantastic! I got a great car at a nice price! Bought a 2001 Ford Escape here a week ago and had such a great experience! No preasure sales approach. Super laid back ye professional and to the point. Highly recommend and would definitely come back. Excellent Service and Variety! Very welcoming and amazing to deal with !!! TerraMota Auto Group made my car buying experience a great one! They took care of everything from paperwork to even delivering the car to me in Lincoln. I highly recommend this company! Tyler was amazing! Super helpful and offered us a great deal on an awesome car. He offered us multiple options to try and get what would work for us the best. Highly recommend Terramota if you’re looking for a great used car and excellent service. Awesome place to buy a car!! I tell you what this place is by far the best use car lot i ever been to with costumer kindness as well as true dedication to there costumers by not only standing on there word but also giving them a true peace of mind i pray God bless there business cause they bless the people with giving them use cars that are affordable an trustworthy. Outstanding customer service. They listened to my wants and needs and exceeded my expectations. Thank you to everyone at TerraMota! I had a great experience with the representative I met (Tyler). I came a few times unsure of my purchase but I bought a clean and beautiful Murano from them and they delivered it to me. I definitely recommend. Everyone at TerraMota are professionals when it comes to customer friendly services and the deals that they have are 2nd to none! Love how they communicate with you to make sure your getting the best value on your purchases. Can’t say enough about them. My go to spot for pristine and reliable vehicles. Highly recommend them to anyone who’s on a conservative budget. Purchased a school car from Terra, I have nothing but good things to say about the experience and working with Thang! The staff are honest and easy to work with. I bought a legacy gt and on my way back home the turbo gave out and I called them soon after. The owner was more than willing to replace the turbo and get the engine running as I should again. The service did seem rushed and some hardware was missing off mounting brackets when I got the car back and looked over the work, but it runs fine. All in all it was a decent experience and I am happy with the way they handled the issues I had. TerraMota's staff was so helpful and friendly when I told them I had car issues they helped me pay for and even answered my call at 10pm. Highly recommend. A very warm and non traditional dealership experience. Made my first time dealership buying way more comfortable than I thought. Best used car dealer in town. They are very friendly and professional. I would definitely referred anyone here! We had a great car buying experience with TerraMota a few months ago. They are honest, pleasant, and have a quick response time. It was worth the one hour drive both ways to buy our second family car. The warranties they offer are as good as they sound; we are pleased with the service we received! Really, if you want Honesty , hospitality and friendliness TerraMota Auto Group I recommend 100 percent, and best prices in Omaha Nebraska. Good place for cars. Always have what I’m looking for. Staffs are friendly and helpful. One of the best things is they work with banks to help you get financed and make payments if you don't have all the money up front. Since I purchased my infinity, I didnt have any problem except for oil change. I would recommend this place if you want just a excellent and reliable used car. Genuinely great business and great people. I am a mechanic of 30 years and from what I see, these guys definitely know their stuff and most importantly do right by people. It is truly refreshing to see a dealership like this one. These guys have a great operation going. Nice cars, fair pricing and honest information on their vehicles. Great place to go. No games, straight forward and Good value. I would absolutely recommend TerraMota to friends and families. I really enjoyed my car buying experience with the guys at Terramota, there wasn't any pressure tactics used and they were very transparent about the price of the truck I bought from them. I felt that they had my best interests in mind and not just another sale. I will definitely recommend them to my friends and family. Thank you Thang for all the helped you did this morning. I really like my car and you had the best deal. You were very honest. I would definitely recommend you.Thanks again! My experience at Terramota Auto has been amazing! Luke was my sales rep and he was awesome! I came in a few months ago looking for a car but I didn't planning to make any purchases. But Luke was very friendly and he made me feel very comfortable even I wasn't planning to purchase one right away. He showed me the cars at the store that were great value and explained me the pros and cons with each one. I will definitely come back if I decide to buy a car! I loveee my 2010 Volkswagen Jetta!!! Runs like a champ and got such a good deal on it. These guys got their operations down! This dealership has some of the cleanest cars around. Much better than the competition when comparing price, customer experience and all around service. The buying process was simple and quick. They got me in and out in under 1 hour, and that included my 1/2 hour test drive. If you are looking for a school car, a work car, or a second family car this would be the place to look and buy. There's a lot of junk out there, save yourself some time and check their website out first. You might have to be patient because their cars sell pretty fast and the one you want might be gone (It happened to me). Don't worry though, they get new shipments in weekly. It was worth the wait for me to get a better car then to settle on something mediocre somewhere else. Excellent place to buy a used/pre-owned car. Clean vehicles. Great staff. And a super relaxed environment. No games, no gimmicks; Not at all your traditional dealership. No pressure, friendly people. Very helpful. Will definitely recommend if you're looking for a new used car!! All I have to say is that this place is awesome!! I did my shopping around and comparing prices and nothing I found beat thier price. Best experience in buying a vehicle as well no pushy salesman so you feel peaceful and focused without someone hovering over you. Also Luke went above and beyond with the whole process and made sure I was able to get the best rate for financing! I definitely recommend Terra mota!! Thank you guys sooo much in making my car buying experience the best!! TerraMota is a top notch auto group. They always put their customer first. They are professional and honest and that's what I appreciate about them. I was skeptical on buying a used a car but after speaking to them and going over my concerns, I had nothing to worry about. I highly recommend TerraMota. My experience was tremendous, from start to finish. I found the vehicle on a Friday morning, shortly after it posted, and called to discuss it. I went in to drive it Friday afternoon, and noticed some road noise on the tires. The team offered to replace the tires for me, and I also asked if I could see underneath the vehicle to make sure there was no rust. They bent over backwards to allow me to set up a time on Saturday to inspect the underside of the vehicle. After the tires were mounted, they even offered to bring the vehicle to me if I needed them to. Needless to say, I purchased the car, and delivered it to my daughter who was ecstatic. The check engine light came on the following day, and I shot them a text on a Sunday. They told me to bring the vehicle down to them so they could see what the code was. It ended up being a minor emissions issue, which they then ordered the part for and did the repair at their cost. This was the best car shopping experience I have had by far, and would highly recommend this dealership to anyone. Well done Terra Mota! This is an amazing place to purchase a vehicle from. 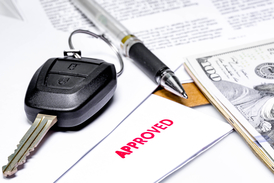 Than was very helpful in helping me select a vehicle that would work for myself and my children. Luke was very helpful in making sure my vehicle was running properly. He was also able to address any concerns I had with my vehicle. Assured with a 15 day warranty and 3 day money back guarantee, I felt comfortable making such a big purchase on my own. They were even helpful in the process of assisting me in obtaining the title for my vehicle. I was not aware of how everything worked exactly but they were really made the process go smoothly by meeting me at the DMV to ensure everything was done properly. I would definitely recommend this dealership for both vehicle purchasing and financing. I bought a car a few wks ago had an issue with it. Contacted Tyler and he and his crew didn't hesitate to take care of me!!! I would HIGHLY recommend TerraMota to everyone looking for a car!! Great ppl and great business with excellent customer service!!! We bought my Nissan from TerraMota after all of their help allowing us to test drive and get a vehicle history. Shortly after, the door handle broke in half, we called Luke and Tyler back to see what they would do. They were so easy and friendly to work with and they replaced the door handle at no charge for parts or labor. They stand behind the product and are easy to work with! Like their motto says, they truly make ZEN a part of car buying!! HIGHLY RECOMMEND!! Thank you for your review Noble. 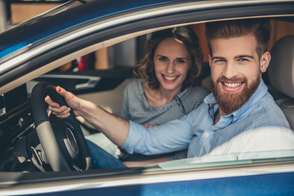 We appreciate you visiting our store during your search for a vehicle. We were shopping for an affordable high school car and found one that worked well for our daughter. TerraMota offers great customers service, no haggling and no pressure compared to other dealerships. Thanks for a great used car buying experience! Could not be happier. Luke went so far above and beyond with the customer service. My kids and I are in love with this van. AND it was priced abt $1000 less than comparable vehicles. The process was super easy, the aftercare was insanely good, and they helped me out with EVERYTHING with the buying process. Thank's again guys!!! HIGHLY RECOMMEND! The employees that work here are astounding. I'm glad I chose to buy from here as they have showed nothing but professionalism and respect towards me, as well as being very understanding. Thank you! Great place for shopping experience, friendly people with great prices. highly recommended for anyone looking. We know the car isn’t new, but we’ll try and recreate that new car feeling the moment you step inside. Making sure you have an enjoyable experience is our focus. Its all about you finding the right car. Our programs cover major components of the car, including roadside assistance & rental allowance. Each car is carefully selected with you in mind. Many are looked at. Only a few make the cut. Every car is evaluated based on its current condition and market comparables to provide you the very best deal. We live by a no pressure and non-intrusive sales approach. Clean. Refreshing Simple. Protect your vehicle from unexpected events and save money with our added customer support programs. There’s no pressure. We believe that the car should always sell itself. If you like it, buy it. If you don’t, no worries. 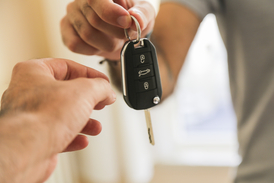 Have a car you want to trade-in? The process will be quick and easy and most importantly, transparent. We make it simple. Fill out our online application and get connected with our lending partners in minutes. We know your time is valuable. Our goal for you to spend less time buying the car and more time enjoying it. At TerraMota, thousands of cars are ruled out by our meticulous vetting process. Many are looked at. Few make the cut.